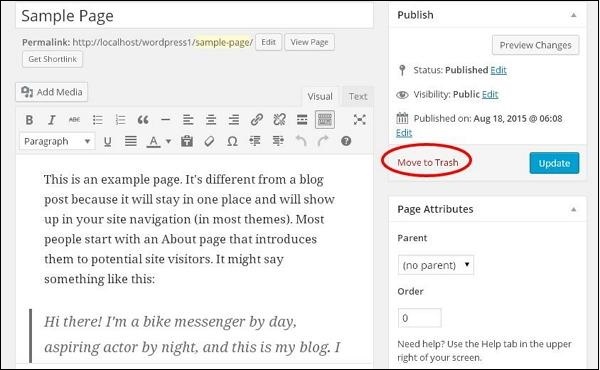 Following are the steps to Delete pages in wordPress. 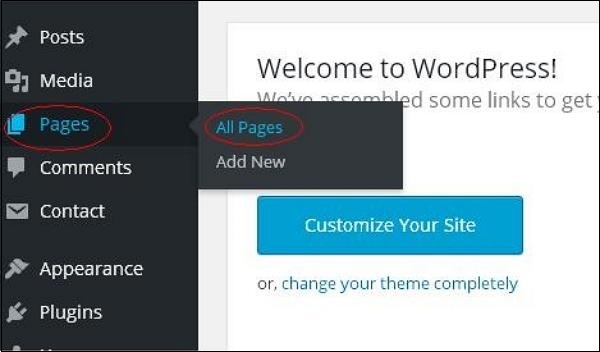 Step (1) − Click on Pages → All Pages in WordPress. 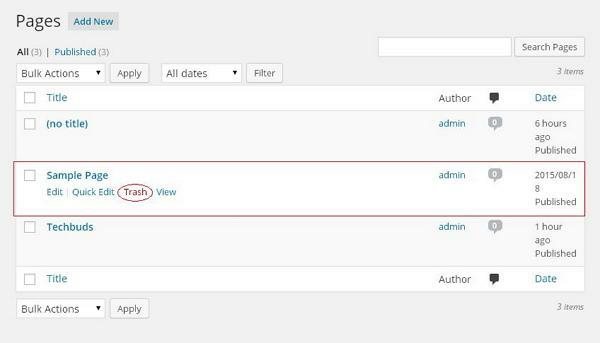 Step (2) − You can delete Sample Page (Sample Page is created by default in WordPress). 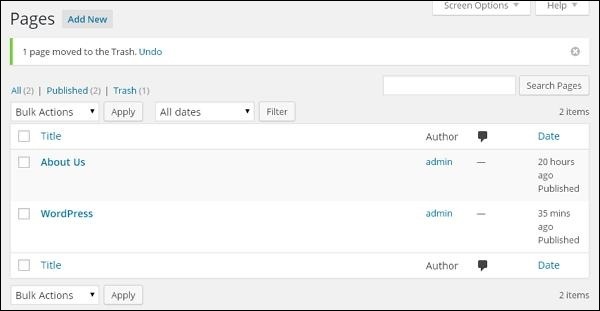 When the cursor hovers on the pages, then a few options gets displayed below the Sample Page. Click on Trash option to delete the post. Or alternatively you can also delete your page directly while editing or adding page by clicking on the Move to Trash button as shown in the following screen. Step (3) − To confirm that you have deleted the page, view your page list.